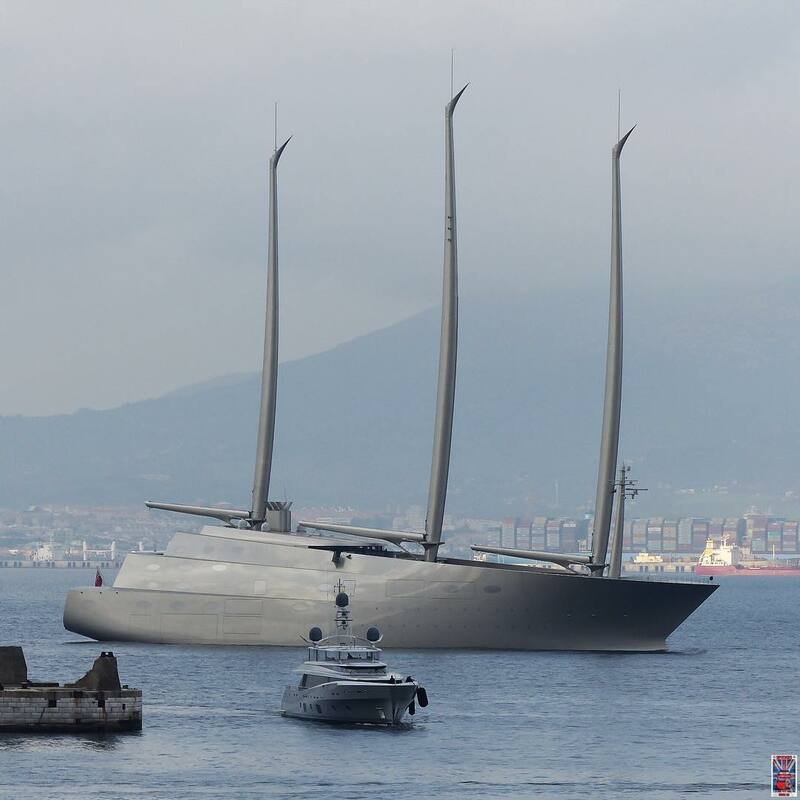 The highly anticipated modern feat of superyacht design, Nobiskrug’s sailing superyacht known as “A”, was taken into custody by Gibraltar port police following a dispute between the builder and the owner’s project team at Valla Yachts Limited. The yard claimed a total sum in excess of $13M was due in late January as an installment payment and had not yet been paid. Perspective: That is the 46m Feadship “Lady May” in the foreground. Sailing yacht A is simply massive. Photo by Jarrad @ superyachts_gibraltar. 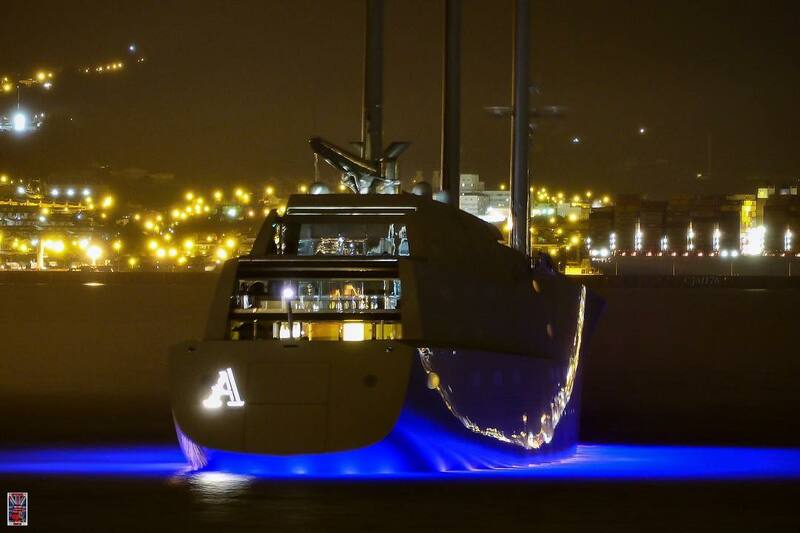 The dispute was settled and sailing superyacht A was released to continue on its way from Gibralar. Both parties agreed to a settlement that including depositing the claimed funds with a Gibraltar law firm to ensure security while a final resolution to the case pends. Nobiskrug made it clear that its biggest concern with the settlement was security of funds and it is reported to be content with the court’s decision to have a Gibraltar law firm hold the funds. Final delivery of sailing yacht A to its owner, Andrey Melnichenko is on track for late spring. Stern shot of S/Y A at night. 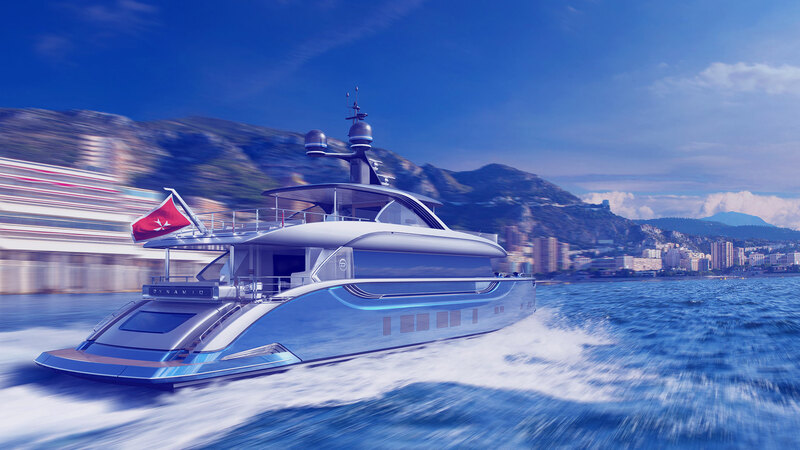 Notice the “A” name is the same design as Andrey Melnichenko’s motor yacht bearing the same name. Photo by Jarrad @ superyachts_gibraltar.